It’s hard not to like the marketing team at Direct Ski. This time last year they were challenging Crystal to a punch up, this year it’s class war. 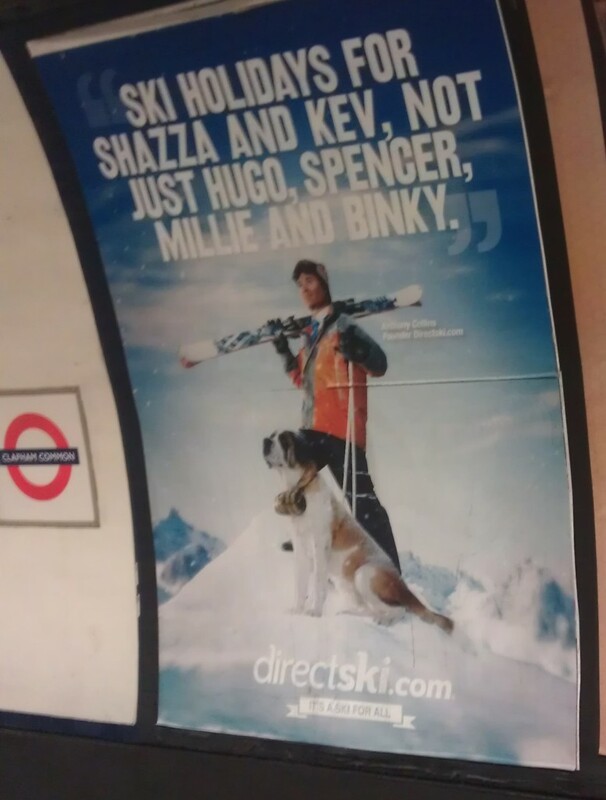 Although we’d question if Spencer is actually a posh name, the point is one the snowsports industry should encourage, if perhaps not in such crude terms. Skiing is for everyone, not just the toffs. And in case you missed it, here is last year’s tremendous ad (and our blog about it). Hugo, Spencer, Millie and Binky are the super-posh muppets off the Made in Chelsea tv programme. (I’m embarrassed to know that!) I guess at the end of the day they’re just names so they can use them without paying any royalties or anything – but it’s almost like a free endorsement of sorts. Are there any advertising rules surrounding this as it’s fairly blatant to anyone who has seen the tv show? I agree though, it’s hard not to like their advertising department’s cheeky attitude. Haha! That’s brilliant Dave. So embarrassed/pleased [delete as applicable] that I didn’t know that! 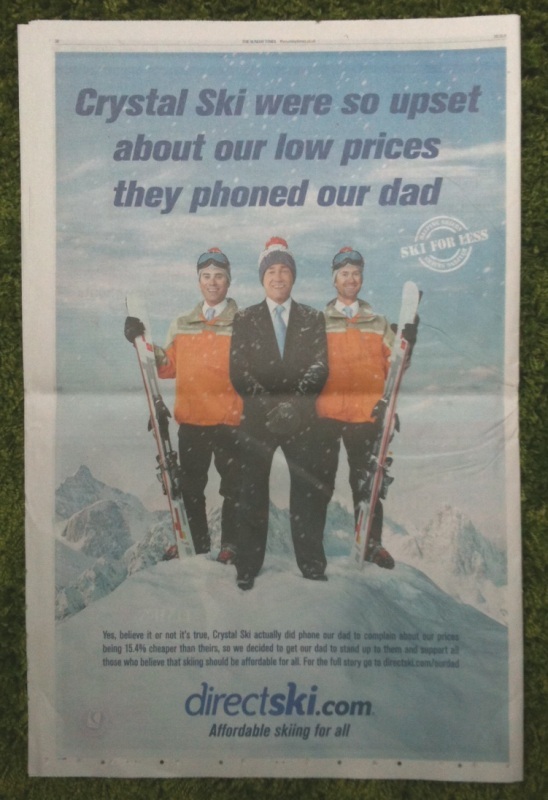 They upset a few more people the year before though… taking a bit of an O’Leary approach to PR?